Welcome to the EHRI Portal Manual. 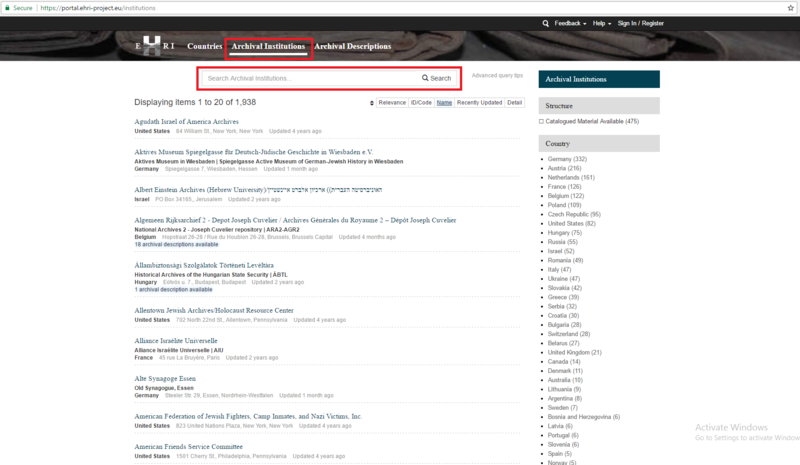 You are probably eager to get started and begin searching the Portal for information about Holocaust-related archival sources and institutions. This manual will guide you through this process in Chapters D, E, F, G; however, to make best use of the Portal’s search and browse capabilities, it is helpful if you first familiarise yourself with certain details. You might want to learn what kind of information the Portal holds (covered in this Chapter), the way this information is structured (Chapter B), and, finally, the methods that were used to assemble the information (Chapter C). 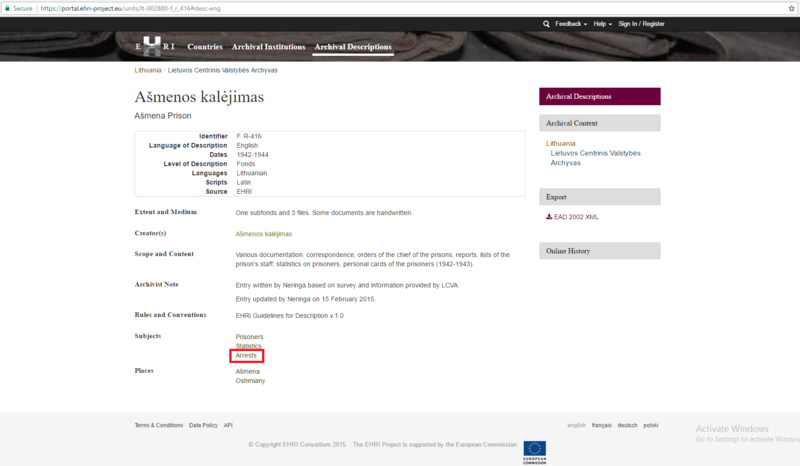 The Portal contains large amounts of rich information on three basic entities: countries, archival institutions and archival holdings (also called archival descriptions in the Portal). 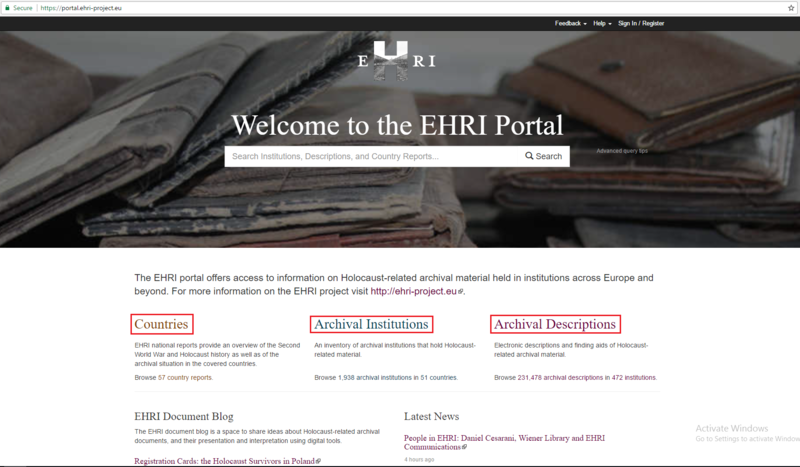 Countries: EHRI aims to provide information on all those countries where significant Holocaust collections can be found today. By February 2017, 57 such countries have been identified, but further countries might be added in the future. 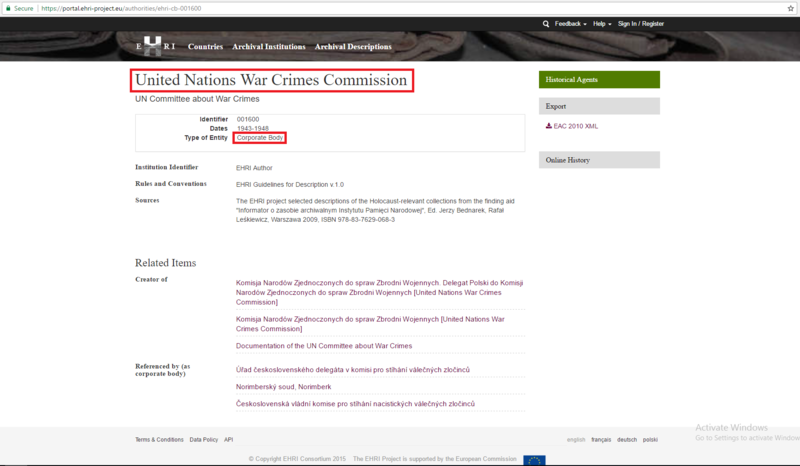 For each country the Portal provides a concise description of its Second World War and Holocaust history and a summary of its archival situation today. For those countries where EHRI has been active in identifying archival institutions and holdings, we further provide details of the research we have undertaken. These research reports give a good indication of the extent to which the Portal’s information about archival institutions and holdings is complete for any given country. 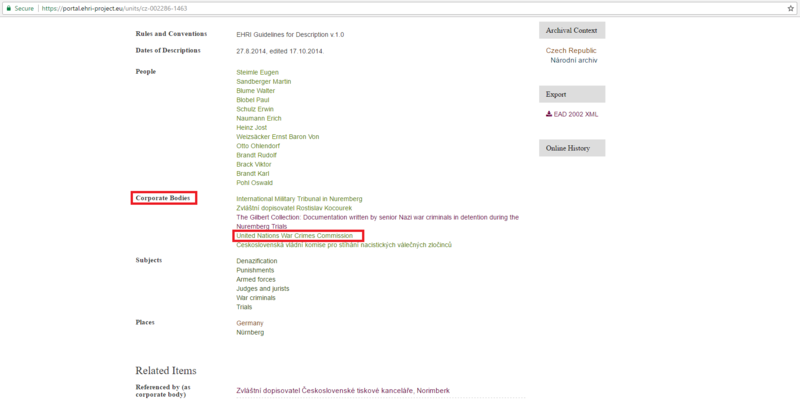 More information about the general structure and content of the country reports is available in the Introduction to the EHRI Country Reports on Holocaust History and Archives (https://ehri-project.eu/country-reports). Archival institutions: These are descriptions of institutions – archives, libraries, memorial institutions, etc. - which hold Holocaust-related archival collections. 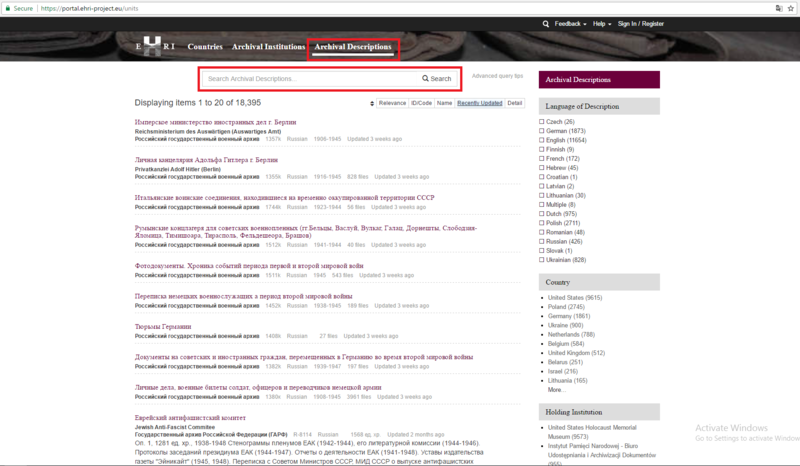 For some institutions, the descriptions are very detailed, while for others the Portal currently only provides basic information such as its name, address and website. Please note that even though EHRI has invested considerable resources into identifying institutions, and as of February 2017 has written more than 1,900 relevant descriptions, our coverage is by no means complete and we are continuously adding more institutions to the Portal. Archival descriptions: The descriptions of some archival holdings are available for selected institutions. The Portal hosts more than 230,000 descriptions of archival units located in 471 archival institutions. 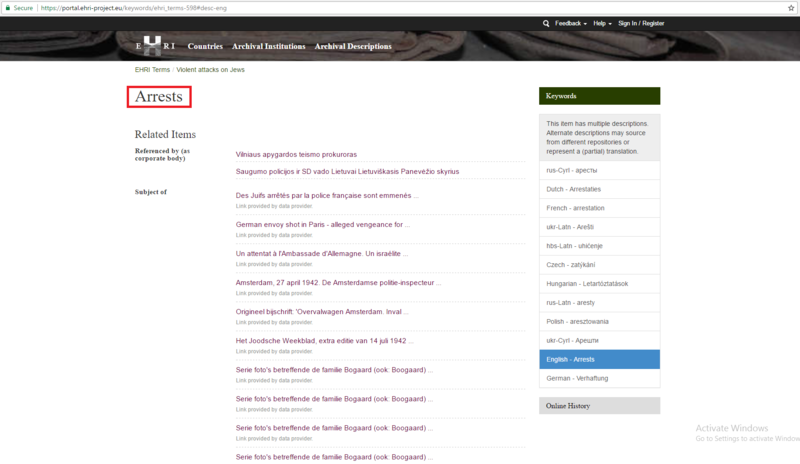 Even more than the descriptions of countries or archival institutions, this is very much work-in-progress and more archival descriptions for an increasing number of holdings are continuously added.